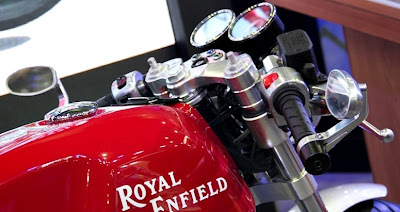 Rumors on the interwebs saw Royal Enfield planning to enter once more in the quarter-liter class with a new motorcycle which was to compete with the similar machines Honda or Bajaj are already selling in India and adjacent markets quite successfully. Learning about this, Royal Enfield themselves squashed the rumor in a very firm manner. While 250cc bikes wearing the Royal Enfield have been in production since 1911 through 1967, the company is now focused in bigger displacement bikes, with the smallest being a 350cc model. Even more, Royal Enfield is trying to project a different image, and building up a reputation of solid, very reliable bikes suitable for daily riding, and thus tap into the mainstream sales. Royal Enfield adds that the announced Cafe Racer 535 is the only bike which is scheduled to be launched any time soon, and this is an altogether different story. The Cafe Racer 535 will be more powerful than existing half-liter bikes such as the Classic or Thunderbird, will sport new chassis and suspensions and will also have updated exhausts cam shafts and all.